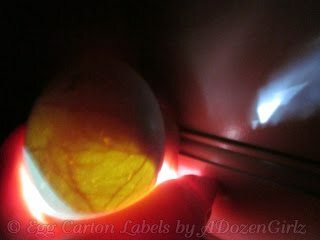 Below you will find photos of the Ameraucana eggs that have been incubating on my kitchen counter for the past 13 days. 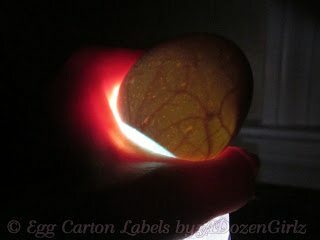 For those of you who do not share the hatching addiction: “candling” is the method used to determine whether incubated eggs are fertile or not. 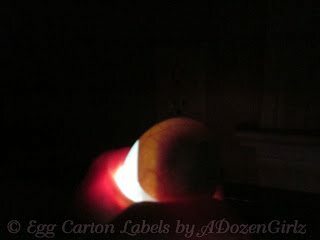 When candling, a bright light is held up to the egg to illuminate the shell’s contents. 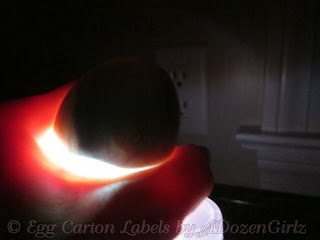 Candling is best done in dark conditions, at night or even inside a dark closet. C’mon, don’t tell me you’ve never done it. 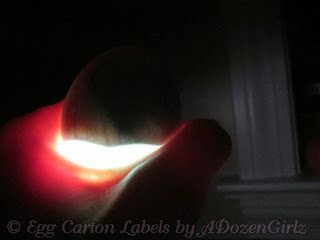 99.9% of hatch-a-holics have found themselves in the closet with a light and an egg at some point. We just don’t discuss it at cocktail parties. We’re desperate and we don’t care what it takes. We simply must know what’s going on inside those eggs: “Are they fertile or were they better left to accompany bacon and toast? Are they growing? They are? Yes! 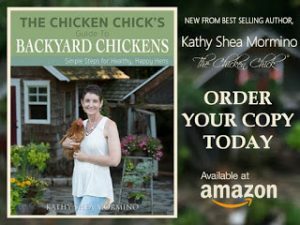 Are they still growing or are they ‘quitters?’ One just moved!” Whatever it takes, if it helps us get a clearer glimpse into the amazing, twenty-one day miracle that is a chicken-in-the making, count us in. 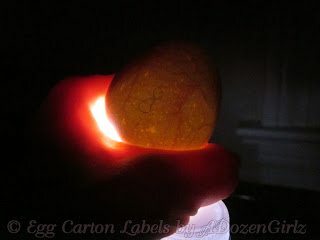 I have recently come out of the candling closet. For less than the price of a cup of coffee, I am out. There was no 12 step program, no coaching, no Dr. Phil. Just an innocent trip to Tractor Supply for feed and there it sat, unassumingly, on the check-out counter. It called to me. 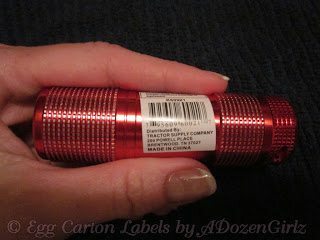 Admittedly, I had always been looking for my next score: a better,brighter flashlight. I’d give this one a whirl. For under two bucks, I figured, where’s the harm? I brought it home that afternoon and headed directly to the closet. 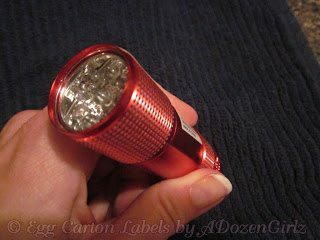 This little flashlight packs a beacon so powerful that I can now candle in broad daylight, in the middle of my kitchen. (gasp!) It is that bright. Don’t take my word for it, go get your own. You’ll thank me later. Don’t be fooled by it’s compact size. 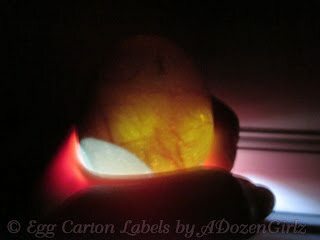 These eggs have been incubating for 13 days, there are 8 remaining until the expected hatch date. 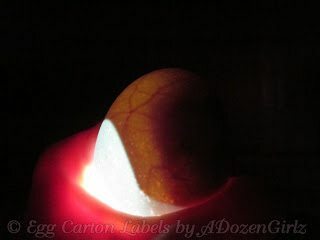 This is the side opposite the chick, it shows the blood supply of the chick. 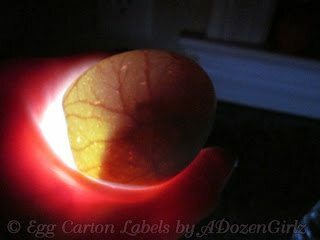 All of the blood must be absorbed by the chick over the next 8 days in order for it to hatch properly. 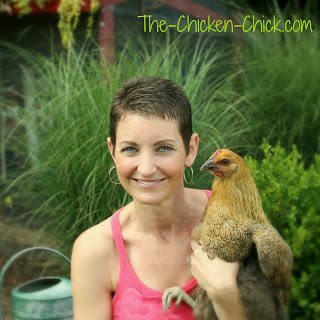 21 days is so long when you have eggs incubating. Hey this is a great idea. 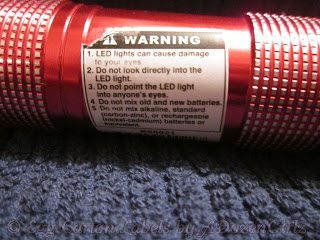 It never hurts to have a a few cheap flashlights around. 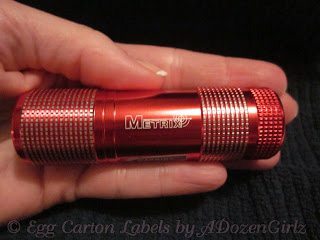 I would say the Best Flashlight I found to keep handy is the little mini Maglite. They are about $12 but it is waterproof too.